Once I heard news about the new collaboration between Gwen Stefani and OPI, I felt super super SUPER excited!! The gorgeous fashion and music icon Gwen Stefani alongside OPI released a set of limited edition OPI shades that I have fallen in love with!! L-R: Hey Baby, I Sing in Color, Love.Angel.Music.Baby and 4 In the Morning. The Gwen Stefani for OPI Rock Starlets mini nail lacquer set (A$24.95) includes two creme gloss and two semi-matte satin finish nail lacquers that are limited edition OPI shades. Hey Baby - a vibrant and fun Barbie pink shade with creme gloss finish. Hey Baby is a dupable pink shade, though it sure does fit in very well as being a part of Gwen Stefani's hot nail lacquer shades! The formula is incredibly creamy, silky smooth and highly pigmented. I applied two coats to achieve a completely opaque finish. I Sing in Color - a seductive and deep blackberry shade. The creme gloss finish gives an overall look of perfection to the nails! The plummy red hue is noticeable around the edges of the nails and you could tell the difference in opacity between 1 and 2 coats. Love.Angel.Music.Baby. - OMG! This shade completely blew my mind away! Love.Angel.Music.Baby. features a luscious gold semi-matte satin finish. This. is. an. unbelievably. stunning. shade! The micro shimmers give my nails a glamorous and luxurious look that would definitely turn heads! The semi-matte finish looks beautiful and unique! After a few seconds the formula dries to a beautiful matte finish. 4 In the Morning - an incredibly dramatic and unique shade of charcoal with silver micro-shimmers. 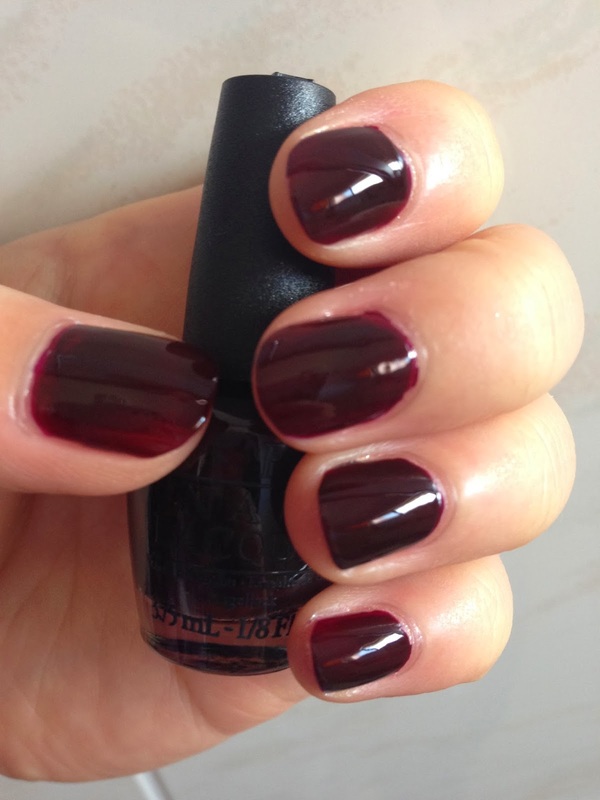 I'm not a huge fan of dark nail colours, however, this shade is no exception!! No top coat is required after applying 4 In the Morning, because this shade dries within a few seconds to reveal a beautiful semi-matte satin finish. Gwen Stefani for OPI Rock Starlets mini nail lacquer set is definitely a true hit! I absolutely love the unique creme gloss and semi-matte satin formulas of these nail lacquers! I would highly recommend trying out these shades for yourself as the quality is just as good as the finish and shades of nail lacquers in this set! Gwen Stefani, YOU ROCK!! What do you think of the new Gwen Stefani for OPI nail collection? Products were provided for consideration only. This review is 100% based on my own thoughts and opinions. 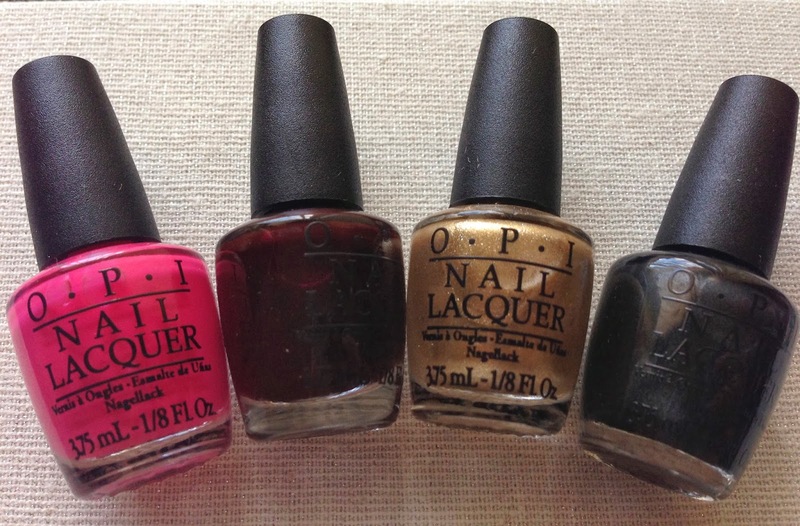 I am not affiliated with OPI and did not receive remuneration to post these product reviews.